New York Times and USA Today bestselling author Cassia Leo grew up in California and has lived in three different countries. She loves to travel and her dream is to one day score a record deal based on her awesome shower singing skills. 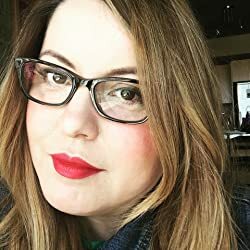 She is the author of the Shattered Hearts series (Forever Ours, Relentless, Pieces of You, Bring Me Home, and Chasing Abby). She is also the author of the popular Luke and Chase series. Text BOOKLOVE to 41411 to sign up for text alerts of new Cassia Leo books! Or you can follow her blog at cassialeo.com to stay up to date on new releases and giveaways. Please enter your email address and click the Follow button to follow Cassia Leo!